Mobile, offsite, drop off, and ship ‘n’ shred services are outlined in this video, including other frequently asked questions on document destruction services. 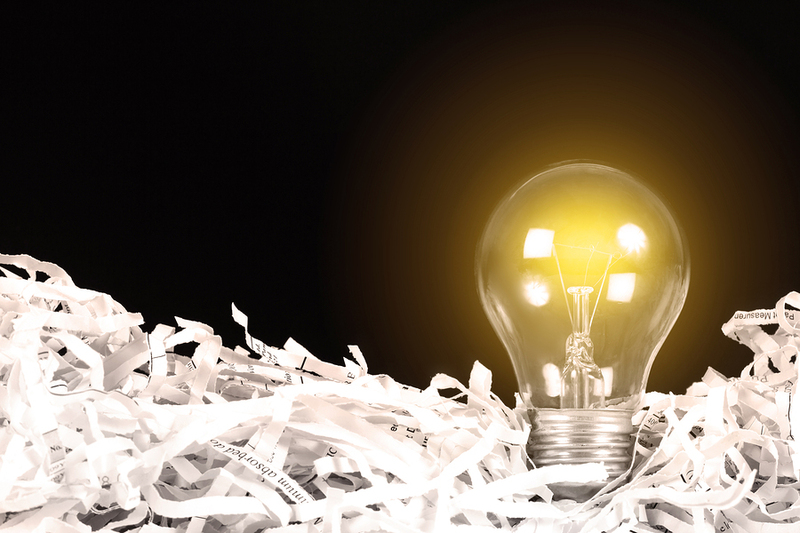 What are the different shredding service types? Mobile shredding services bring a truck with a built-in shredder to your location to destroy your materials while you watch. Typically mobile shredding is ideal for larger projects up to 300 lbs Like mobile shredding, offsite services send a truck to your location, but instead of shredding on site, the documents are taken to a shredding facility. Offsite is often preferred for its cost-effectiveness for projects of 300 lbs or more. Drop off is a walk-in service geared for small-scale projects to give those with less to shred a way to avoid scheduling a service. Drop off is a price per pound option, making drop off cheaper for small paper amounts than other flat-rate services. Like drop off, Ship ‘N’ Shred is designed for small-scale shredding. Rather than a walk-in service though, Ship ‘N’ Shred is a pick-up service similar to offsite shredding—offering the benefit of added convenience. How Much Does Shredding Cost? Can I Just Rent or Buy? Buying a shredder is an option, but there are considerations to keep in mind. A small personal shredder may be cheap, but the shredding will be slow, and if you go for an industrial shredder not only will it cost thousands, but you’ll also need to make room for the huge amount of space they take up. On the other hand shredder rental is an option too, but the side-effects from buying a shredder are eliminated. With shredder rental you can use a heavy duty shredder to mow through material for a fraction of the shredder’s cost, and without having the shredder sitting in a corner to gather dust in the meantime. One of the greatest benefits with renting is that the shredder is brought directly to you using a mobile shred truck, and afterwards the rental service also does the shredding for you—making it both cheaper and easier to take care of shredding when you rent. Cross-Cut vs Strip-Cut: What’s the Difference? Certificates of Destruction: What is it and when do I get one? Certificates of destruction are provided after a shredding service has completed their work. Certificates are essentially a receipt of the shredding service, and if businesses or individuals face legal action a certificate of destruction can prove their information was safely and legally shredded—much like showing proof of purchase. Details listed in certificates include chain of custody, who did the shredding, when and where it took place, witnesses to the destruction, and a unique service transaction number. Do Paper Shreds Get Recycled? Shredding services either partner with recycling providers or incorporate recycling into their processes since shreds are too small to be sorted out by normal facilities. Afterwards, the fibers are washed again, cleaned, and most importantly the ink is removed—as a result making shredded information truly impossible to recover. Finally, the washed and pulped paper is bonded, dried, and made into new paper products—leaving your shreds gone without a trace. All Questions Answered and Now You’re Ready to Shred? Find mobile, offsite, drop off, and other shredding services that’ve been trusted by companies including Amazon, Allstate, and Apple. To get your free, no-obligation quotes on shredding services near you, give us a call at (800) 747-3365 or fill out the form on the right.